Chinese brands continued to move up on the Brand Finance Global 500 (2018) list, with their value share ascending from 3 percent to 15 percent over the past 10 years, Xinhua quoted the annual report on the world’s most valuable brands by the British consultancy Brand Finance. A total of 22 Chinese brands, with six more added in 2018, ranked among the top 100 in terms of brand strength, innovation, forecast revenues, and other factors. These brands include China Construction Bank, Alibaba, China Mobile and Bank of China. The growth of Chinese brands extends beyond the technology sector as the country continues to narrow the value gap with the United States at an impressive rate. Many home grown brands are now being recognized worldwide as quality brands, the report said. Chinese brands, underpinned by their innovation, high-quality products, commendable after-sales services, and strengthened protection of intellectual property rights, have boosted the image of China’s manufacturing worldwide, said Xu Jiabin, a consultant at the National Manufacturing Strategy Advisory Committee. 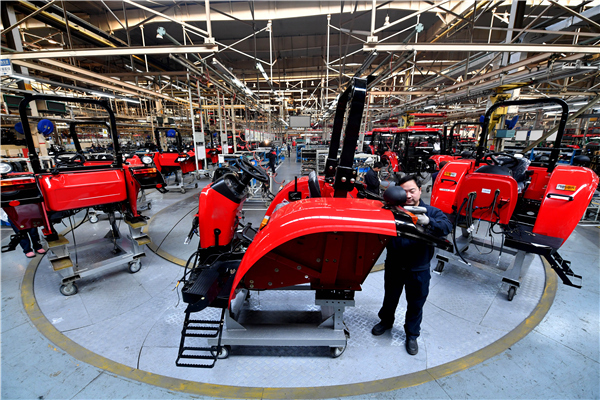 With Chinese brands like Tencent, Alibaba, Haier, and Midea gaining global popularity, China’s efforts to upgrade the image of its manufacturing have achieved initial success, according to a review in Spanish newspaper El Mundo. However, as some experts said, China needs to further encourage innovation, facilitate supply-side structural reform, and promote the Made in China 2025 strategy, in a bid to improve quality of products and strengthen global influence of Chinese innovations. Additionally, Chinese enterprises will need to further promote their products overseas so as to raise brand awareness and loyalty.